(TibetanReview.net, Dec11, 2016) – A county court in Ngaba (Chinese: Aba) Prefecture of Sichuan Province has on Nov 9 sentenced a Tibetan Buddhist monk to a six-year jail term for having allegedly sent out information, including images, about happenings in Tibet, said Dharamshala-based Tibetan Centre for Human Rights and Democracy Dec 10. 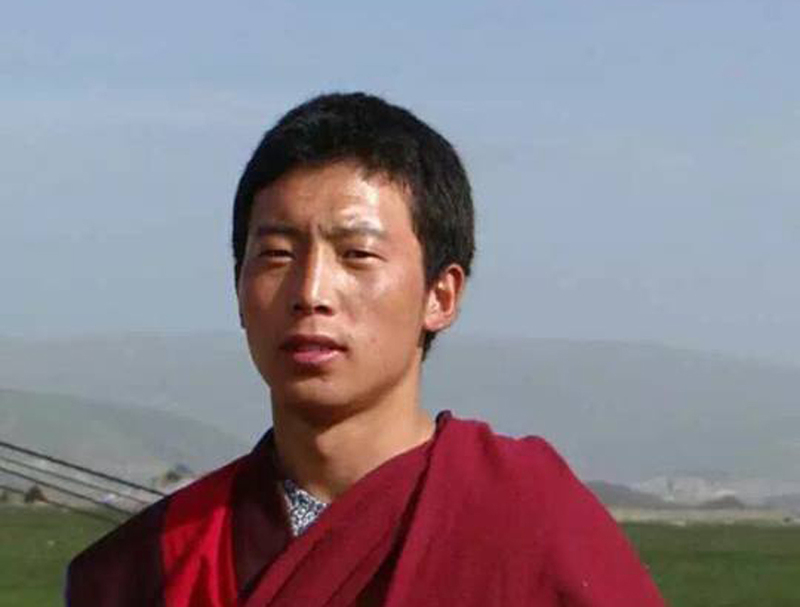 The monk, 23-year-old Lobsang Sonam, was reported to have been sentenced by the Trochu (Heishui) County court and is held in Mianyang Prison near the provincial capital Chengdu. The centre said the monk was taken away by the county police on Sep 11 last year and had remained disappeared ever since. The centre feels that the monk was convicted for allegedly “leaking state secrets”, as human rights activists and critics of government policies are often charged with this offence. It was not clear what specific information and images the monk was accused of having leaked. The monk, one of four siblings, is said to originally belong to Nomadic Camp No. 2 of Rongkharsar Township in Ngaba County.